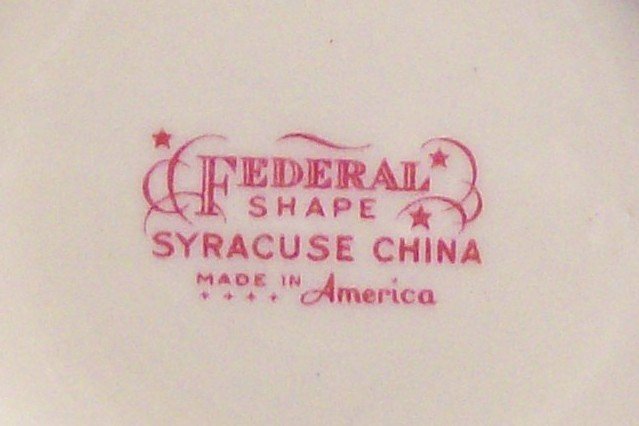 Syracuse China "Suzanne" cup & saucer, made on the Federal shape. Pattern #G2305 dates from 1949-1970. 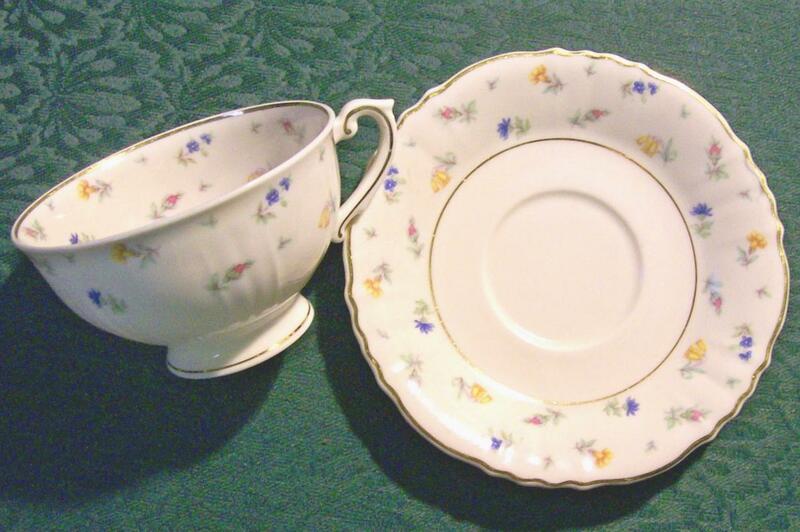 Measures 5 5/8"d saucer, 2 1/4"h cup. Small florals with gold trim. Very good condition, no chips or cracks, very little wear. Have 8, priced separately. See our other listings in this pattern. Made in USA. Inglenook Antiques...Established 1989. Items Similar To "Syracuse "Suzanne" #G2305 Ceramic Cup & Saucer Multicolor Floral ..."
Syracuse "Suzanne" Ceramic Creamer #G2305 Multicolor Floral 6 Oz.